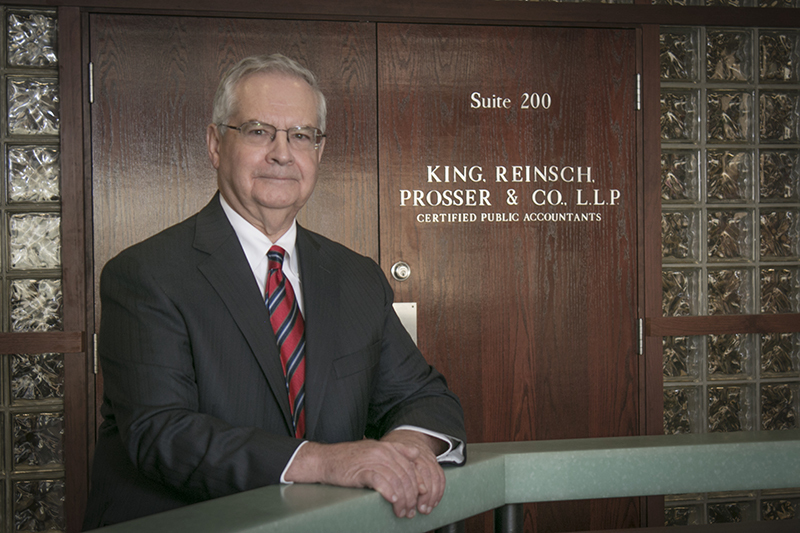 Howard J. Reinsch, CPA | Leadership | KRP CPA | King, Reinsch, Prosser & Co., L.L.P. Howard provides expertise in the area of accounting, auditing, management advisory and tax services. Howard obtained his CPA certification in 1970. He joined the Firm in 1975 and became a partner with KRP in 1977. He was managing partner From 1981 through 2017. Howard is a member of the American Institute of Certified Public Accountants, the Iowa and Nebraska Societies of Certified Public Accountants, the Northwest Iowa Chapter of Iowa Society of Certified Public Accountants and the Estate Planning Council of Greater Siouxland Area, Inc. He has served on the board of several local businesses and charitable organizations. My parents farmed in Geneva, Nebraska. Dad consistently encouraged his five children to pursue a post-high school education for our own self-improvement and to expand our career opportunities. I became interested in accounting when studying accounting principles my first year attending Creighton University. My commitment to study accounting and to pursue a career in public accounting occurred during my second year at Creighton with encouragement from two uncles who were Certified Public Accountants in public practice. I enjoy the variety of work we as Certified Public Accountants in public practice experience daily and the many client relationships, which over the years have become friendships. Public accounting is a career committed to lifelong learning and building relationships. Years ago the Firm's partners defined its mission to be the most successful public accounting firm in Sioux City. Every day we work to achieve the Firm's mission by placing clients' interests and welfare above our own through a culture of core values, integrity, competency, objectivity and commitment to excellence. Our success can be measured by the communication, leadership, critical-thinking and problem-solving skills of our employees, the quality of services we provide our clients, and our clients successes. Our firm and its members also work to be good Siouxland citizens, serving on various Boards/Committees and participating in community activities.